GREAT MULLEIN seeds (verbascum thapsus) from Wildflowers UK. 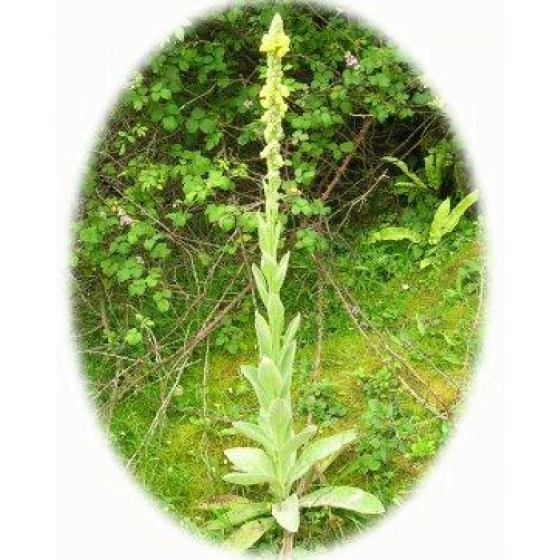 Great Mullein-verbascum thapsus– grows best on light , fertile soils that are well drained. It will grow well in sun or semi-shade where plants will draw in bees and other insects such as moths and ladybirds. Great Mullein is a tall upright species and in gardens can be included as a backdrop to a flower border. Plants produce spikes of yellow flowers from June to August. 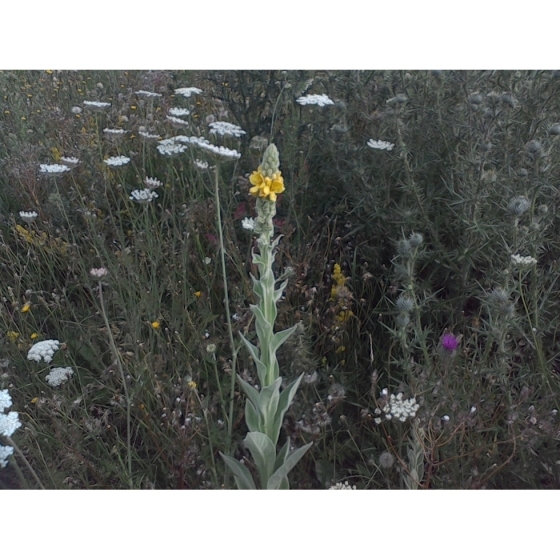 Great Mullein looks best growing amongst other wildflowers that bloom in mid summer, such as Oxeye daisies, Foxgloves, Greater Knapweed, Meadow Cranesbills and Field Scabious. An alternative Names for Great Mullein is Aaron’s rod. Great Mullein seeds should be sown in autumn, outside, where they are to flower, and covered lightly with compost. Great Mullein seeds can occasionally be somewhat erratic to germinate. This species is a biennial so flowering will not normally occur until the second season, after sowing. To attain continuous flowering each year, seeds would need to be sown in 2 successive seasons. 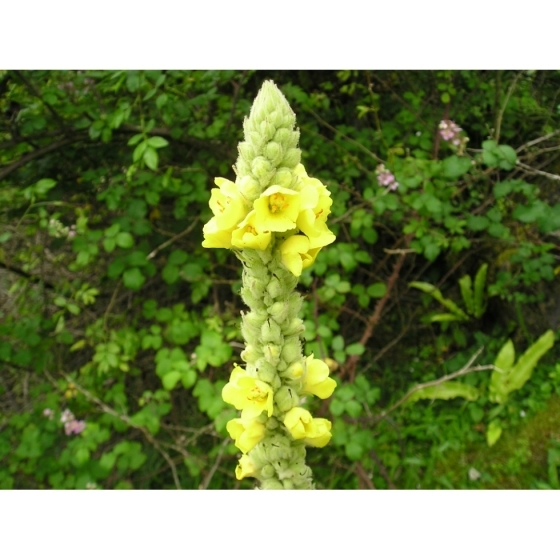 To purchase Great Mullein seeds, please select a quantity above and click add to cart. To ensure the best chance of success, we sell all of our wildflower seeds by weight, which ensures each wildflower seed packet contains a good quantity of seeds. The recommended sowing rate is 1 gram per square metre, and the number of Great Mullein seeds per gram is approx. 14000. All of our Wildflower seed packets contain seeds of Native British provenance.